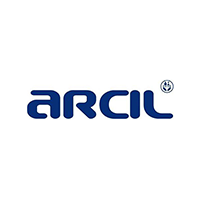 ARCIL is a not for profit organization from the central region of Portugal, working in the field of disability and inclusion for more than 40 years. With its large structure ARCIL supports yearly more than 1000 individuals with different types of disability yearly, throughout different stages of their lives; from childhood to adulthood. ARCIL has various rehabilitation and habilitation services, namely early intervention support to children and families, inclusive education project, vocational and professional training for people with disability, occupational centres for adults with moderate to profound intellectual disability, protected employment social enterprises, labour market integration services and residential or home support for individuals and families with disability. It is also an organization that has been pioneering in the delivery of innovative training in its field, as well as cooperating with universities in research, professional training and development in the fields of Speech and Language Therapy, Occupational Therapy, Physical Therapy, Psychology and Social Service. Professionals from ARCIL have been organizing training and participating in entrepreneurial projects nationally and internationally, namely with professionals from The United States of America, The Netherlands, The United Kingdom, Russia, Turkey, Brazil, Cape Verde, Bulgaria, Georgia and Kyrgyzstan. ARCIL has been cooperating internationally with diverse organizations and is a member of the European Association of Service Providers for Persons with Disabilities (EASPD). ARCIL has a Quality Management System and is quality certified according to the normative requirements of EQUASS Assurance and HACCP.